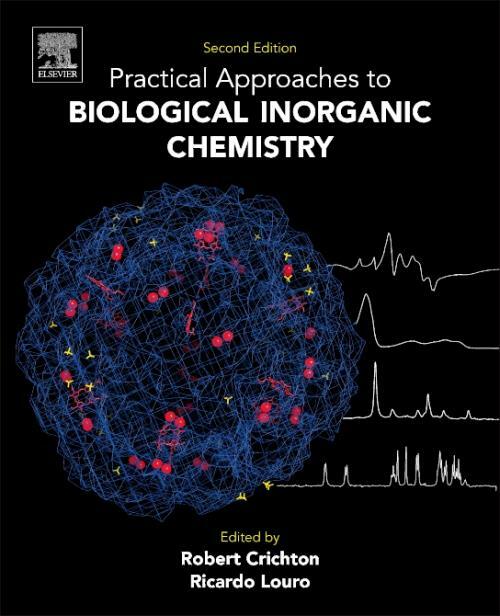 Practical Approaches to Biological Inorganic Chemistry, Second Edition reviews the use of spectroscopic and related analytical techniques to investigate the complex structures and mechanisms of biological inorganic systems that contain metals. Each chapter presents an overview of the technique, including relevant theory, a clear explanation of what it is, how it works, and how the technique is actually used to evaluate biological structures. New chapters cover Raman Spectroscopy and Molecular Magnetochemistry, but all chapters have been updated to reflect the latest developments in discussed techniques. Practical examples, problems and many color figures are also included to illustrate key concepts. The book is designed for researchers and students who want to learn both the basics and more advanced aspects of key methods in biological inorganic chemistry. Robert Crichton is Emeritus Professor, Faculty of Science, Universite Catholique de Louvain in Belgium. He has some forty years experience in teaching the subject, and published over 200 scientific articles and a number of books. Since 1985 he has organized a series of over twenty advanced courses on Metals in Biology in Louvain-la-Neuve, which have trained over 1300 doctoral and post-doctoral students, many of whom are today leaders in the field. The Second Edition of Biological Inorganic Chemistry: An Introduction to Molecular Structure and Function received the 2013 TEXTY Textbook Excellence Award in Physical Sciences from the Text and Academic Authors Association.